Last week we visited gamescom, the biggest international gaming expo of Europe which once again opened its gates in Cologne. But we were attending it for the first time and joined the gaming masses on Saturday with doomdragon, Kai-Li and ENTE, with the latter including his children. We were just visitors at the expo but there still was a sense of exhibition atmospheric feeling in the air that got us all excited. 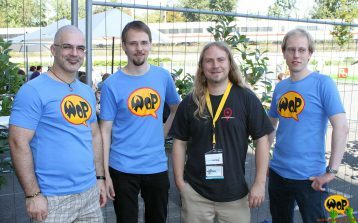 ENTE gave us some exclusive WoP team shirts, which he created that did attract attention and even led to some of the visitors approaching us curiously to find out where the WoP booth was (but as we didn’t have one, we just had to tell them the truth). Others had asked for a photograph or even an autograph but some however were too shy, which is a bit of a pity because we really don’t bite. 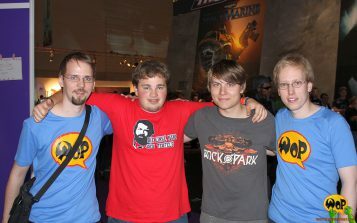 We ourselves were, besides the games, interested in making new contacts or turning written contacts into personal ones and one of those was Gerrit from Spawnpoint – Institut für Computerspiel (institute of computer gaming), who was thrilled about WoP. 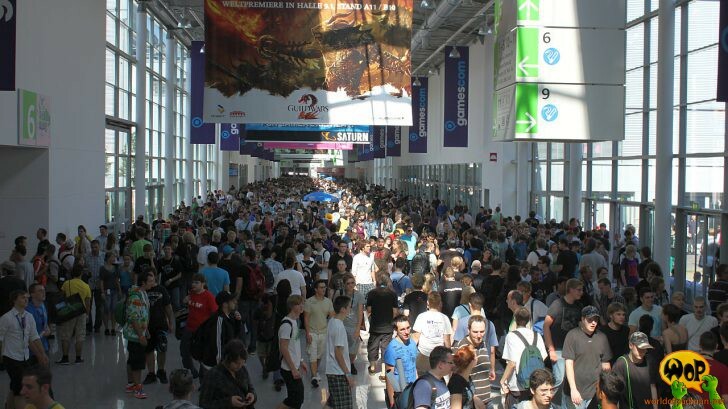 gamescom turned out to be a great although exhausting experience which got us thinking that maybe we will have our own booth at a future gamescom event? Till next time.